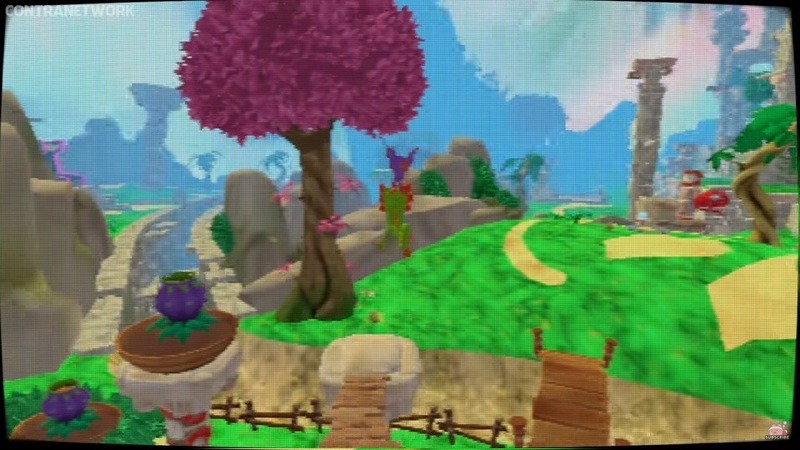 Piet wrote: I think the 64-bit Tonic is cool and all, but (in your opinion) how much (in percentages) does it look like a real N64 game? It looks exactly like I remembered early 3d games I played (or saw others playing) as a kid, before I revisited them years later and was like "wtf Did it always look like this?!". 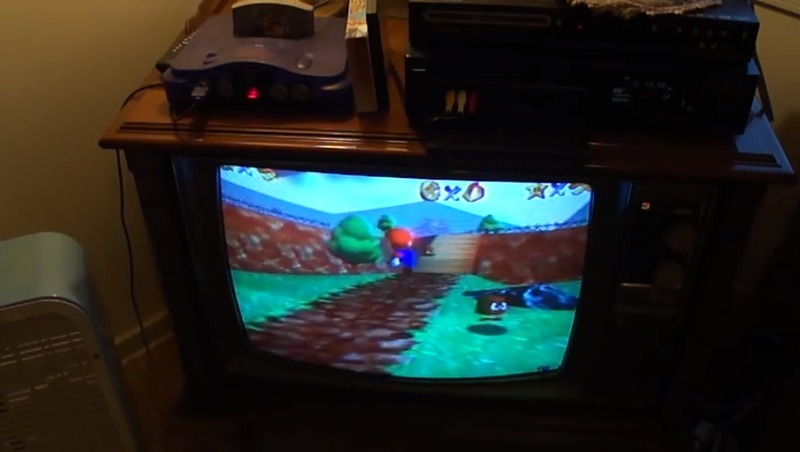 I WAS going to say that this is just because of nostalgia and bad memory on my part, but I've been thinking about it and there's something to be said about context: It's not the same to play a N64 game on a N64 console on a 90s tv or prior, to playing a rom or port of a N64 game with modern hardware and in modern monitors. Notice how the door knobs look spherical and the textures blend toghether. Notice how the door knobs now look square and the textures stand out like day and night. Many people today are likely to be exposed to the later, but the 64-bit tonic is definetly attempting to replicate the former, the experience of playing these games back in the day, when polygons and textures were much less obvious. 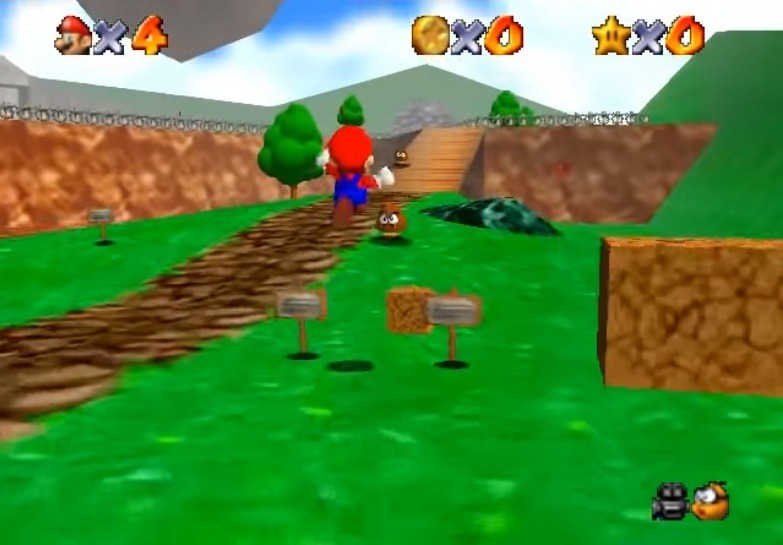 More importantly, N64 games were not limiting themselves back then, they were pushing the boundaries of what the console could do, they were trying to be the best games they could possibly be (the good ones, at least). 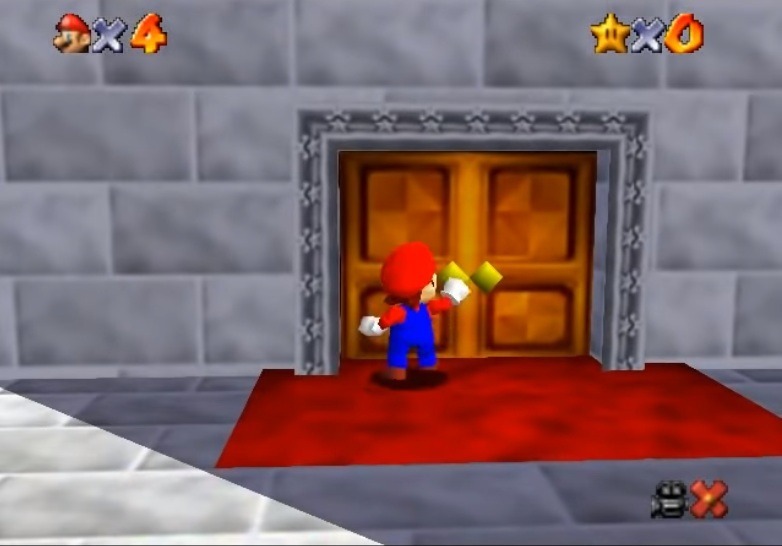 Therefore, to make a modern game FEEL like a N64 game from back in the day it's not enough to make polygons and textures more obvious, to make it look "inferior"; it has to look like it's trying its best to avoid making it obvious. And I think the 64-bit Tonic accomplishes that balance. The colors and the fluidity as well as the nostalgia that comes with it are back. So to answer your question, since the feature went out of its way to try to replicate THE EXPERIENCE of playing N64 games back in the day, rather than adhering to THE TECHNICALITIES of a N64 cartridge, I'll give it an 80%. It's not perfect, but it's great. Last edited by Gorjo on Thu Apr 04, 2019 12:11 am, edited 3 times in total. Taylor wrote: If I could "like" Gorjo's post above, I totally would. Brilliant explanation -- I wish Piet would stop trying to spread his negativity around this community. I agree - great post, Gorjo! Yeah the old games don't look right on new monitors, that's why I have a retro games corner of my house with all my old consoles set up on my old CRT TV. Unfortunately I don't have any way to convert from HDMI to RCA, and my old TV doesn't do VGA either which is a pity as I think I have a VGA to HDMI adaptor somewhere. But if you find a way to do it, I'd be interested to see the results! Taylor wrote: I wish Piet would stop trying to spread his negativity around this community. Stop it. This is not negativity. This is my opinion based on my experience as a gamer kid. I used to play hours, hours & HOURS of BK/T, SM64, Smash, OoT, MM, etc. 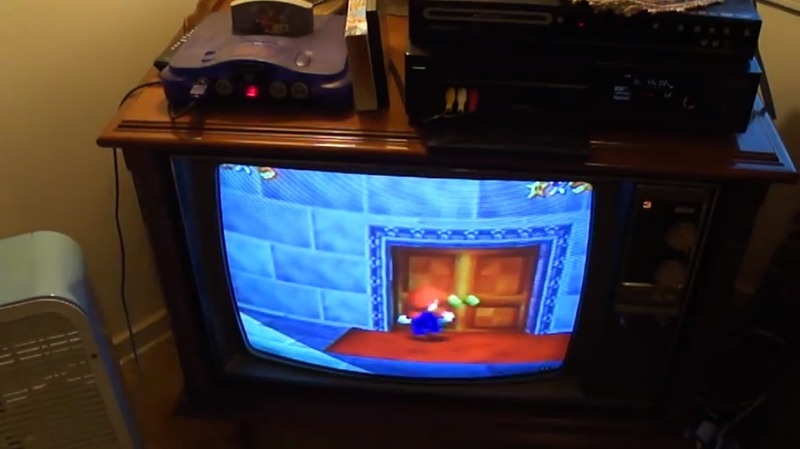 on my N64 on a CRT TV and for me the 64-bit Tonic doesn't replicate that experience.. FOR ME. I think it's due to the higher res. polygons in YL and the fact that the Tonic doesn't replicate the picture I had while playing on my old CTR TV. That's personal.. Nothing more, nothing less. Stop saying that anything you don't like te see/read is 'negativity'. That's just hypocritical. O and..: I think the 64-bit Tonic is a nice option and they (PTG) kept their promise regarding the Kickstarter stretch goal, which is positive. I trust Daley when she says PTG is very busy & many things are coming, so I'll/we'll just have to wait and see. O and for the record: I do like YL (8/10 imo), I own a digital & collector's edition on the Switch + a digital & special backer physical edition on PC and I even have YL socks/magazines. I hope this game will flourish again this year and that more people will play it in the future. It's just that it's frustrating when you THINK something you like/love isn't doing well. Last edited by Piet on Thu Apr 11, 2019 8:40 am, edited 1 time in total. Anyone who knows me knows I'll defend Yooka-Laylee to the ends of the earth, but I gotta confess that the Tonic is a bit of a misstep for me. There's a pretty big difference between playing on a real CRT television and playing on an HD screen with a dark grid on top of it. 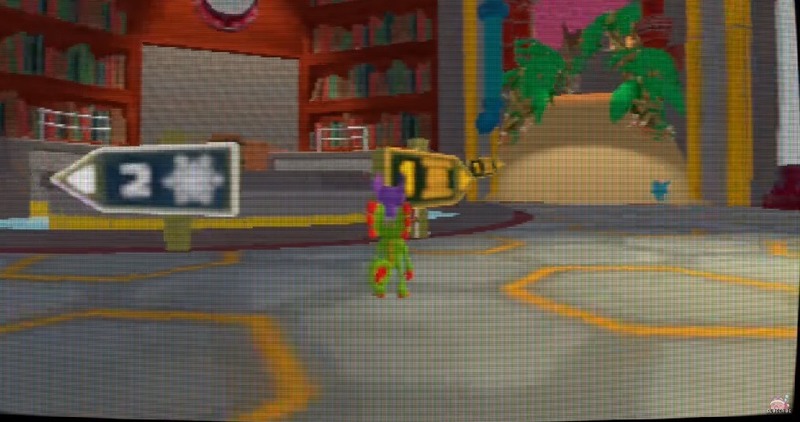 I never noticed the scan lines on my TV as a kid, but a dense overlay is distracting and just makes the game look darker. If it turns out I'm misremembering what older TV screens looked like, and the filter is actually really accurate, that still doesn't mean the effect should be recreated so closely. The funny thing about nostalgia is that it's rose-tinted and you don't remember the bad parts, so if nostalgia is the goal of the Tonic, why bring the bad parts back? 1) It causes the double-jump to be less responsive, I guess because that specific input doesn't get registered between frames for some reason. 2) Only the slowest N64 games I've played consistently run any lower than 30 fps. The frame rate might dip here and there when I play Banjo, but the vast majority of the time, it runs faster than the 64-Bit Tonic does. Less important, but there's also something jarring about all the water in the game being completely untextured, and the HUD display and sprites remaining HD when the game's resolution has been decreased. Wouldn't hurt if the casino tokens, gems, pirate's treasures, etc. were also sprites. I can understand not every model in the game being recreated in low-poly, of course, because that would take way too much time for a bonus feature in an already finished game. Don't get me wrong, I appreciate the Tonic as an option, and there's a good bit it does right. Although if it stays the way that it is, I don't expect to use it again. Weather it looks good or not, i just dont care about it. It's too late. DLC I'm a bit interested in and a new game I'm very interested in but the 64 bit tonic is something that should have been in the game at launch. I have no interest to revisit game for this.